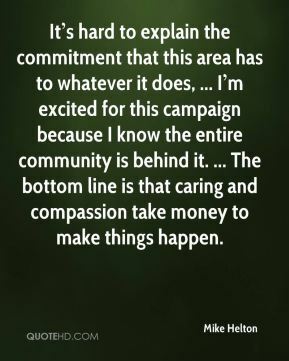 Its hard to explain the commitment that this area has to whatever it does, ... Im excited for this campaign because I know the entire community is behind it. ... 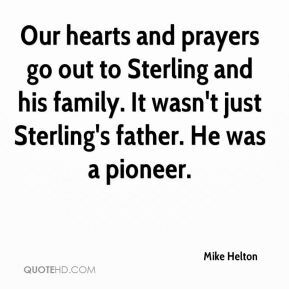 The bottom line is that caring and compassion take money to make things happen. We are going to be closely watching. 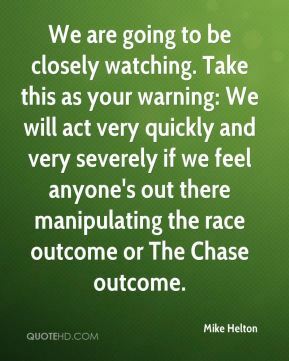 Take this as your warning: We will act very quickly and very severely if we feel anyone's out there manipulating the race outcome or The Chase outcome. Shut up, kids! 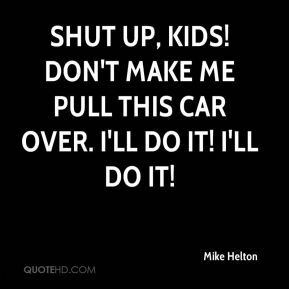 Don't make me pull this car over. I'll do it! I'll do it! 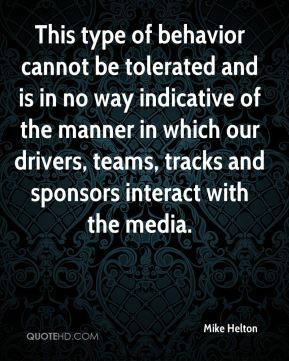 This type of behavior cannot be tolerated and is in no way indicative of the manner in which our drivers, teams, tracks and sponsors interact with the media. 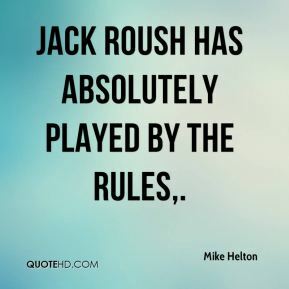 Jack Roush has absolutely played by the rules. 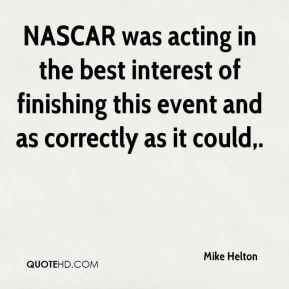 NASCAR was acting in the best interest of finishing this event and as correctly as it could. 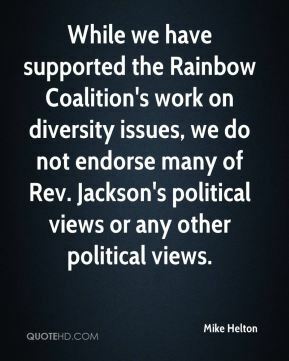 While we have supported the Rainbow Coalition's work on diversity issues, we do not endorse many of Rev. Jackson's political views or any other political views. 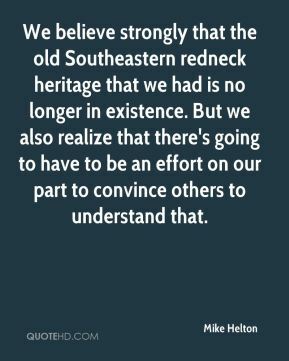 We believe strongly that the old Southeastern redneck heritage that we had is no longer in existence. But we also realize that there's going to have to be an effort on our part to convince others to understand that. 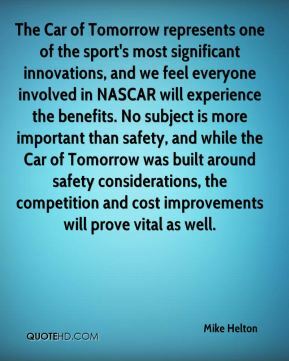 The Car of Tomorrow represents one of the sport's most significant innovations, and we feel everyone involved in NASCAR will experience the benefits. No subject is more important than safety, and while the Car of Tomorrow was built around safety considerations, the competition and cost improvements will prove vital as well. Generally tracks get faster, temporarily, after they are resurfaced. Then they go back to normal. 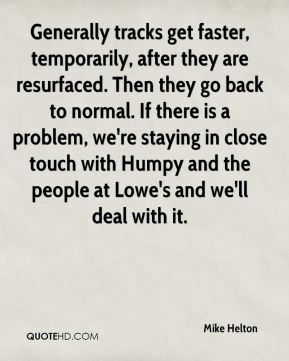 If there is a problem, we're staying in close touch with Humpy and the people at Lowe's and we'll deal with it. 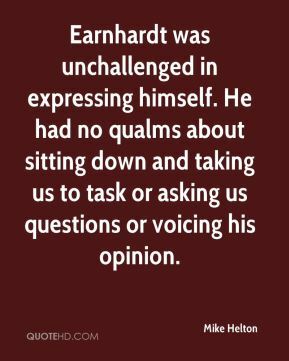 Earnhardt was unchallenged in expressing himself. 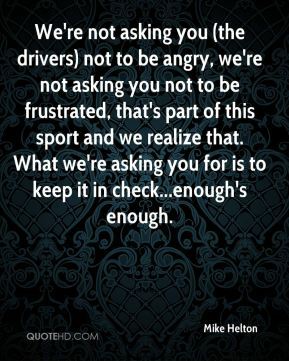 He had no qualms about sitting down and taking us to task or asking us questions or voicing his opinion.